A Scunthorpe-based law firm is celebrating after one of the firm’s trainee solicitors achieved full qualification. 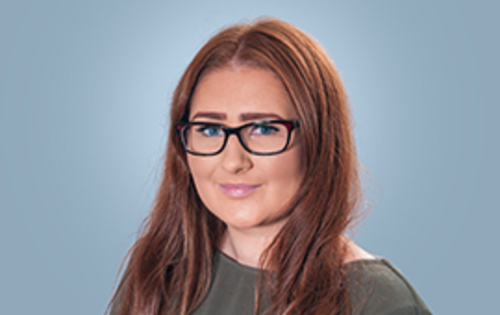 Amy Kavanagh is now a fully qualified solicitor working in the Conveyancing department at QualitySolicitors Bradbury Roberts & Raby, where she specialises in matters relating to conveyancing, leasehold property, property law, remortgaging, and transferring of titles. After having completed her LLB Law degree at the University of Derby and then going on to complete her Legal Practice Course at the University of Law in Leeds, Amy then went on to join the Conveyancing Department at QualitySolicitors Bradbury Roberts & Raby as a trainee solicitor in November 2015. This press release was distributed by ResponseSource Press Release Wire on behalf of Drumbeat Marketing in the following categories: Business & Finance, Media & Marketing, Public Sector, Third Sector & Legal, for more information visit https://pressreleasewire.responsesource.com/about. drumBEAT Marketing UK is a Lincolnshire SEO and Digital Marketing Agency delivering real business results with transparency for our clients.